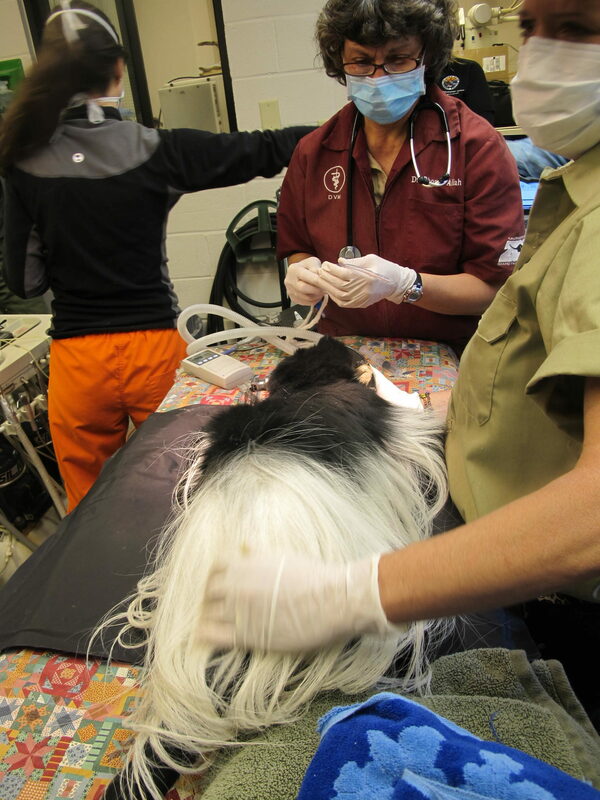 Prepping the colobus for his dental treatment. 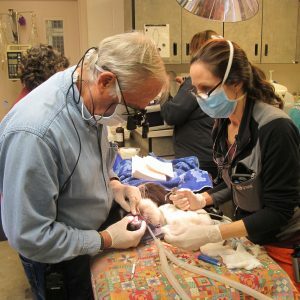 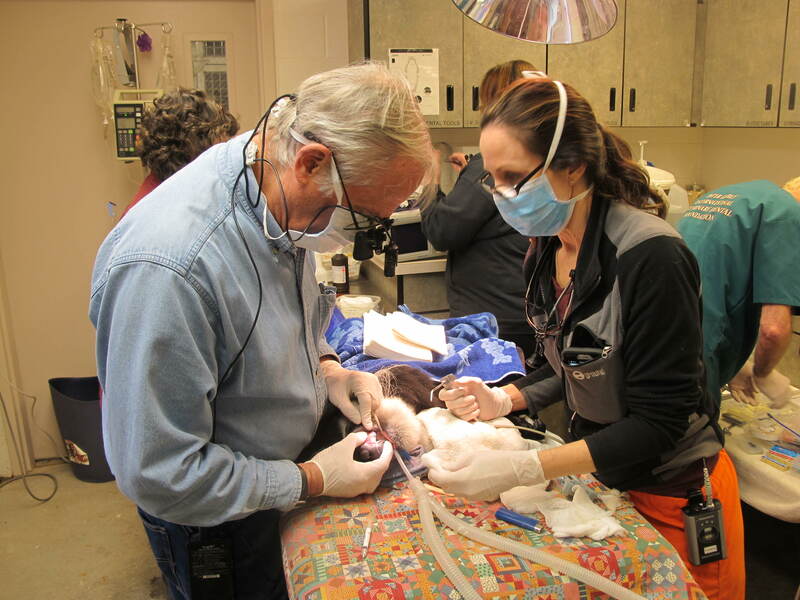 Dr. Barry Rathfon and Dr. Emily working on the colobus. 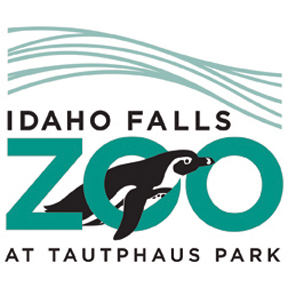 Idaho Falls Zoo (a.k.a., Tautphaus Park Zoo) is home to a host of animals, from lions and zebra, to wallabies and kookaburra. 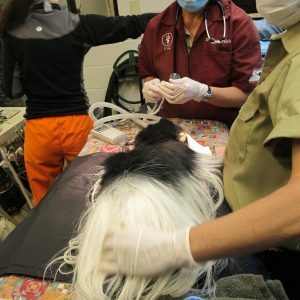 To learn more about the zoo, please visit their website HERE. 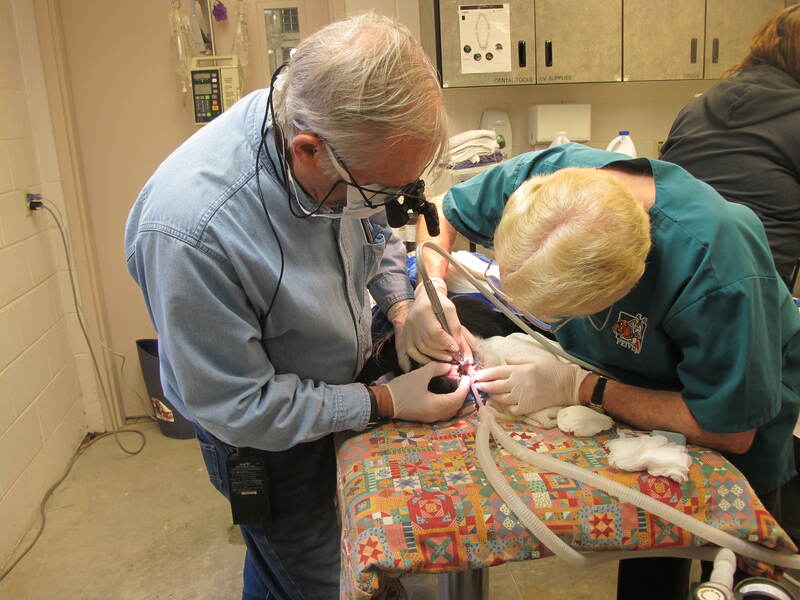 A small team of three from PEIVDF visited the zoo in April 2015 to work two residents: a lion and a primate. 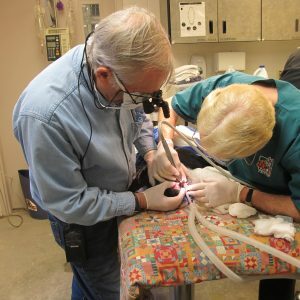 Only two root canal therapies were needed to get the patients back in fine form.